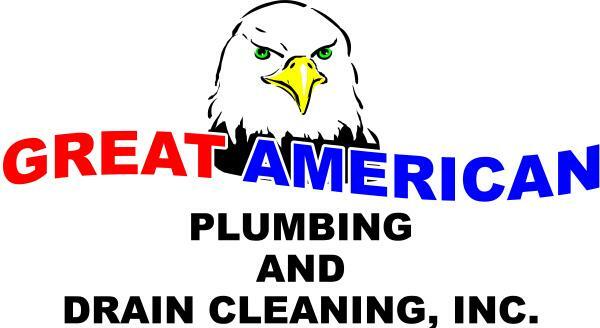 Great American Plumbing is a drain cleaning specialist. We have the right tools, equipment and technique to help with clogged drains and sewers. Whether your sewer line or drain line is blocked or clogged, Great American Plumbing offers many solutions to help resolve your issue. When a line has been broken or damaged, we also have the right technique and tools to get your waste line repaired or replaced if necessary. Great American Plumbing will have your waste line up and running as soon as possible. Great American Plumbing doesn't replace sewer lines when they can be repaired. We value our customers and want them to be happy by offering economical solutions to try to help them SAVE MONEY! Great American Plumbing also has the tools to locate the break or belly in the line. It is usually advisable that once the damaged section is located, to have that section replaced. We offer high velocity water jetting to clear sludge and build up on the inside of the sewer line. This will enable our sewer camera to have a clear visual of where the break or belly is in the line. High velocity water jetting uses high speed and pressure water to clear blockages in sewer systems. Build ups such as sand and grease are easily removed with high velocity water jetting. What causes drains and sewers to clog up? The gradual build up over time in kitchens, bathrooms, and laundry rooms of soap, lint, and hair can cause your drains and sewers to backup. Other products such as paper towels, feminine products, and baby wipes being flushed down the toilets can cause your sewers to back up. Having a broken sewer line or a belly in the line can also cause your sewer to back up. With a broken line, your waste line fills up to the break in the line, and at this point there is no where else for the waste water to go, but back up. A belly in the line causes a slow waste line, that holds waste, paper and debris instead of draining dry. This causes it to come back up. What causes a belly in the line? A belly in the line can be due to poor installation of the line, low spots on the property, and the slope of the line or just settling. Broken lines can be caused from multiple things, such as roots growing into the line, improper installation of the line, and during construction.